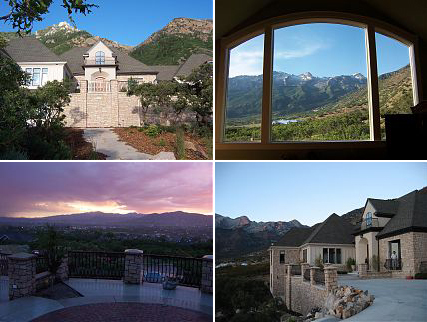 Ski, hike or hold a family reunion at this 5,000 sqft luxury home with delightful views of the surrounding wildlife, mountains and the valley below. Just minutes away from all of the commercial necessities you could need, including Sundance, where the Sundance Film Festival takes place, Park City is fabulous for restaurants, shops and skiing...you'll be just 20 to 45 minutes away from Sundance, Snow Bird, Deer Valley, Park City, Alta and Brighton ski slopes. And this beautiful 5 bedroom, 6 bath resort view family home is just minutes from The Canyons, Park City, and Deer Valley resorts...with quick access to all that Park City has to offer. Or wake up to a panoramic view of snowy Olympic Park in this luxurious and spacious loft condo. Spend your days on the slopes, just minutes away, or enjoy the relaxed lifestyle of Park City - both are right outside your door. Luxury vacations like these are are made easy when you join IVHE.com. Be sure to see our Facebook page, where we post current vacation specials just for you. 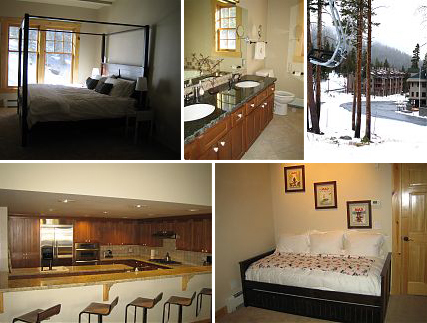 Whether you're visiting the town or the mountain, Breckenridge, Colorado is known as the perfect winter destination and this mountain town condominium is the perfect place to stay in downtown historic Breckenridge. 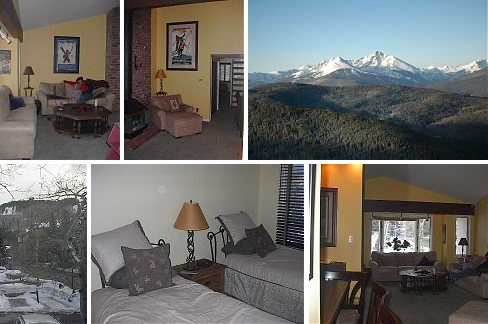 Just a five minute walk to skiing at Peak 9 and near the hundreds of fine shops and restaurants on its authentic Victorian Main Street, this luxury condo is also located across the street from the new Breckenridge Ice Rink - near where the free town shuttle stops by. If you're looking to be tucked up against a National Forest, yet just three miles away from historic downtown Breckenridge, this exclusive (8500sf!) home is available. The three-bay heated garage with parking has room for eight autos and the grand piano, billiard room, theatre room, Native American artwork, granite counters, outdoor grill and hot tub, along with mature landscaping and five acres of private wooded lot make this an exclusive retreat to remember. Or enjoy this Frisco/Breckenridge home, which backs to Ten Mile Creek right in the town of Frisco. With a new master suite, rain head shower and body sprays in the master bath, cozy eat-in kitchen nook looking right out onto the creek, you can walk to fine dining and shopping as well as to the free ski bus. You're just ten miles from skiing Breckenridge/Keystone, Copper Mountain and only fifteen minutes from Vail. Book now and get deals on your season ski passes, now cheaper than week-long passes, plus friends are discounted...great values. Grab your gear and go! Join IVHE.com today to enjoy easy and affordable vacations just like these. Visit our Facebook page to see our latest specials! 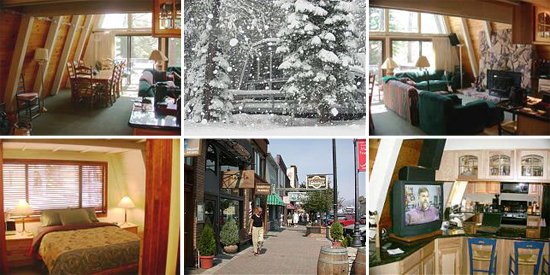 Located in the Colorado Rockies, beautiful Vail Valley and Vail Mountain await your winter visit. This spacious (6,200sf!) luxury home also awaits your stay, nestled next to a wonderful hiking trail only 10 minutes from Vail and 5 minutes from Beaver Creek cultural activities and within walking distance to the mountain community swimming pool, tennis court, hiking trails, mountain biking and more. In addition, mini-van, babysitting and dog-friendly amenities can be arranged for your stay. 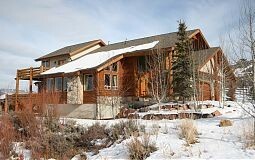 Or head on over to this panoramic mountaintop retreat, located across from the Beaver Creek Ski Resort. Stunning Beaver Creek and New York mountain range views offer sunsets like no other. The copper and granite kitchen make this a special gathering spot to enjoy with all, when not in the beautiful outdoors or enjoying the wonderful Vail restaurants. 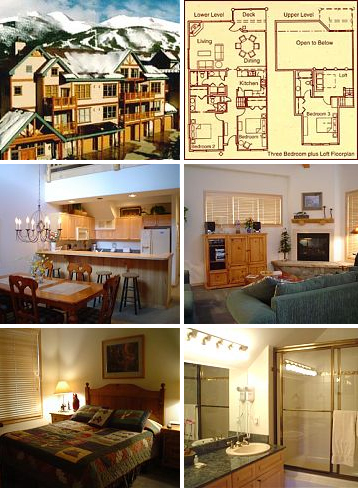 And check out this cozy Vail Village 2 bedroom, with loft, condo. Mountain views and Gore Creek create this sweet spot that is just minutes to Golden Peak chair lift and the center of Vail Village. All this, and more, can be enjoyed via a membership at IVHE.com. And you won't want to miss our specials, advertised on our Facebook page. There's nothing better than winter vacation at Lake Tahoe. 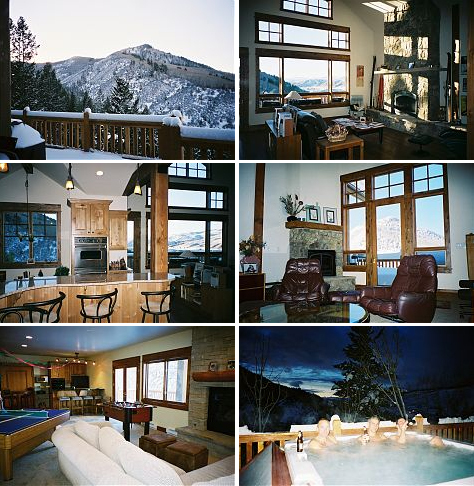 And this prime slope side Kirkwood ski resort luxury home - which sleeps 14! 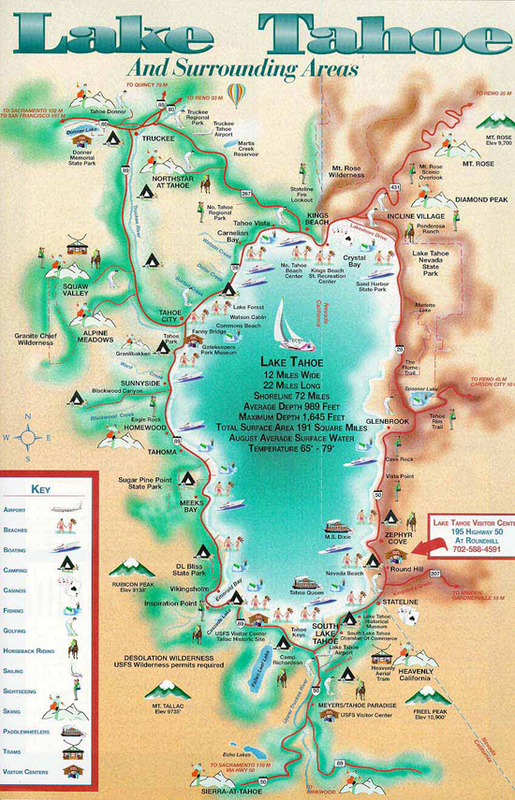 - enjoys the highest base elevation and deepest powder in the Lake Tahoe area. 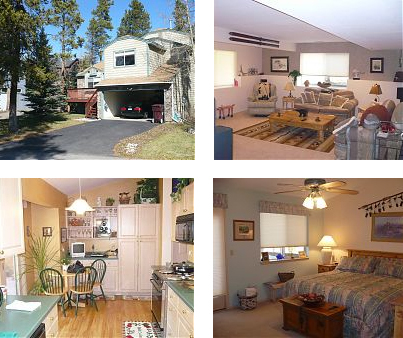 Simply cross the street, walk to lift 5 and ski back virtually to your doorstep. Park your car and ski. Walk to dining and shopping, during your entire stay. 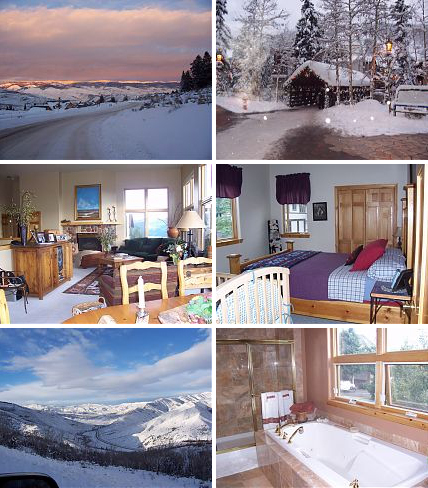 Excellent downhill skiing, snowboarding, sledding, snow shoeing and cross country skiing await your reservation. If it's Squaw Valley, Northstar, Alpine and Sugar Bowl you want to ski - with a family ski area right at Tahoe Donner - this large (2700 Sq. 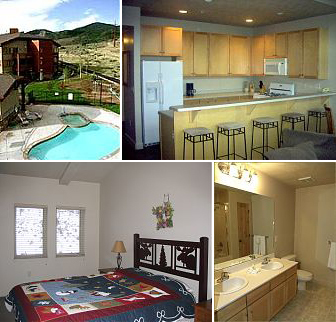 Ft.) homey mountain chalet will also allow you to be near the casinos. With four bedrooms, two bathrooms and a loft, the whole gang can join in the fun! And then there's this Carnelian Bay LAKEFRONT home, the perfect getaway. 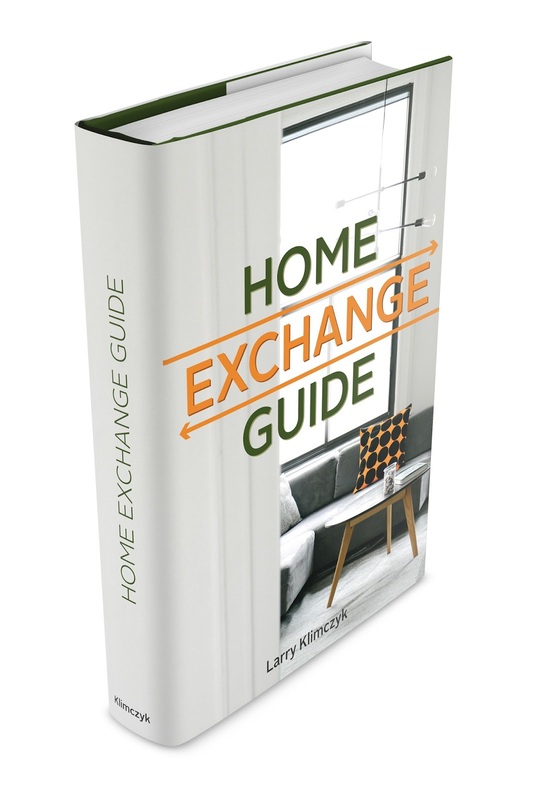 A three bedroom, three bath, two story home to enjoy the shores of the most beautiful lake in the world - Lake Tahoe - and the mighty Sierra Nevada Mountain range. The outstanding panoramic lake views are seen from all rooms, with many activities available year-round. This secluded residence in the woods is just 1/2 hour from Squaw Valley and 45 minutes from 5 star casinos, entertainment and nightlife. Simply join IVHE.com today to choose from an exquisite selection of luxury holiday villas, boutique hotels, city condos, ski chalets (like these! ), safari lodges, log cabins and even yachts, all in prime travel destinations or historic and interesting cities in over 50 countries. We look forward to seeing you.